Cleanroom. 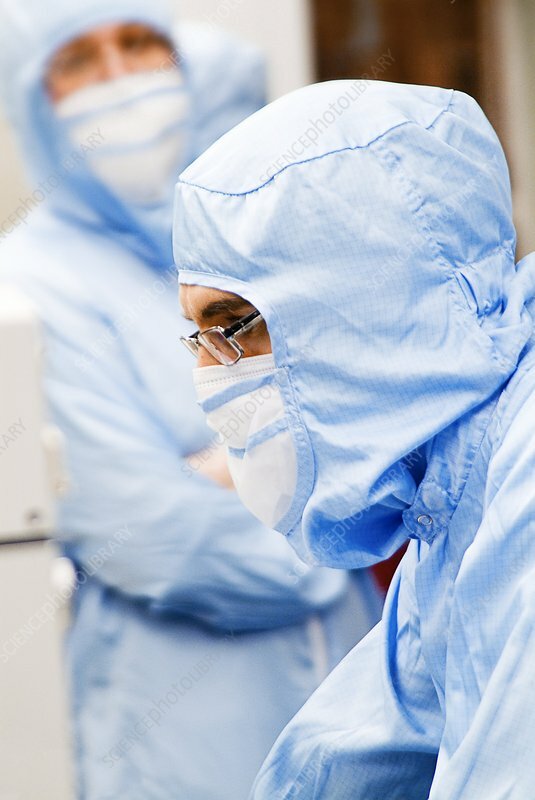 Close-up of a man wearing a cleanroom suit whilst working in a cleanroom. A cleanroom is an environment used in manufacturing or scientific research that has a controlled level of environmental pollutants such as dust, airborne microbes and chemical vapours. Cleanroom suits are designed to cover the wearer to prevent biological contaminants such as skin and hair being shed into a cleanroom environment.